Wifiphisher is a security tool that mounts fast automated phishing attacks against WPA networks in order to obtain the secret passphrase. It is a social engineering attack that unlike other methods it does not include any brute forcing. It is an easy way for obtaining WPA credentials. 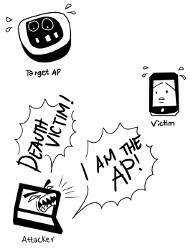 1] Victim is being deauthenticated from her access point: Wifiphisher continuously jams all of the target access point’s wifi devices within range by sending deauth packets to the client from the access point, to the access point from the client, and to the broadcast address as well. 2] Victim joins a rogue access point: Wifiphisher sniffs the area and copies the target access point’s settings. It then creates a rogue wireless access point that is modeled on the target. It also sets up a NAT/DHCP server and forwards the right ports. Consequently, because of the jamming, clients will start connecting to the rogue access point. After this phase, the victim is MiTMed. 3] Victim is being served a realistic router config-looking page: Wifiphisher employs a minimal web server that responds to HTTP & HTTPS requests. As soon as the victim requests a page from the Internet, wifiphisher will respond with a realistic fake page that asks for WPA password confirmation due to a router firmware upgrade. ― Two wireless network interfaces, one capable of injection. Wifiphisher works on Kali Linux and is licensed under the MIT license. British intelligence hacked into two major undersea cables owned by Reliance Communications compromising millions of users, including those from the Indian government, reveal the latest scan of documents leaked by Edward Snowden, the US National Security Agency (NSA) contractor-turned-whistleblower. This security breach took place sometime between 2009 and 2011. A private company, bought by telecom major Vodafone in 2012, helped the British intelligence agency General Communications Headquarters (GCHQ) in hacking the Reliance cables and 27 others that converged in the UK, reveal the documents. These revelations were made in the last week of November by UK’s Channel 4 and German newspaper Süddeutsche Zeitung that jointly investigated the Snowden cache. The Reliance cables carry internet and data traffic between Asia and Europe, and Europe to the American continent. Indian users compromised by this breach include those who don’t necessarily use a Reliance connection as the cables carry data from a multitude of internet service providers in multiple countries. Renamed Global Cloud Xchange (GCX) in March, it owns two key undersea cables — FLAG, which connects Europe to Asia, and FLAG Atlantic 1 (FA1), which connects the American continent with Europe. Both cables meet at a junction in southwest UK and are connected by the local area network operated by Vodafone subsidiary Cable & Wireless. The FLAG Europe-Asia undersea cable has landing stations in Egypt, the Arabian peninsula, India, Malaysia, Thailand, Hong Kong, mainland China, Taiwan and Japan. It was a key target, the documents show, since it carries data from countries that the US and UK are most interested in, like Middle East countries, India and also China. The documents showed that the GCHQ had a secret financial arrangement with Cable & Wireless to use its facility in Skewjack Farm in southwest England to hack into the 29 undersea cables. This was part of a major operation codenamed “PFENNING ALPHA”, a computer exploitation network run jointly by the US’s NSA, and GCHQ. In separate documents, this operation has also been identified as the NSA’s “fourth-largest” information collection exercise from the global Internet. 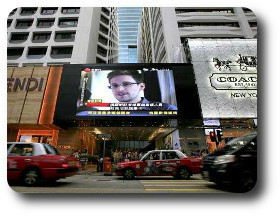 In August 2013, Süddeutsche Zeitung accessed the Snowden papers to reveal the code names given by British intelligence to private telecom companies that cooperated with GCHQ for tapping internet communications. Cable & Wireless was identified by the codename ‘GERONTIC’ while British Telecom (BT) is referred to as ‘REMEDY’. Both companies were part of an elaborate spying programme code-named ‘TEMPORA’. The documents also reveal how GCHQ used a secret software known as ‘XKeyscore’ to pull out data to analyse the data it was intercepting. The filtering of the Internet was carried out using technology developed by a Boeing subsidiary company, Narus. It would pull out packets of information that included phone numbers, emails, and IP addresses in real time. Reliance Communications declined to reply to HT’s queries. The statement ends saying that Vodafone is legally bound not to disclose “any information regarding warrants received and the processes and systems in place to respond to such warrants” and the penalty for doing so is five years in prison. 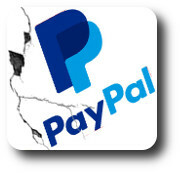 Yasser H. Ali, an Egyptian security researcher, has discovered three critical vulnerabilities in PayPal website which could be used to take control of customer accounts. The CSRF token “that authenticate every single request made by the user” which can be also found in the request body of every request with the parameter name “Auth” get changed with every request made by user for security measures, but after a deep investigation I found out that the CSRF Auth is Reusable for that specific user email address or username, this means If an attacker found any of these CSRF Tokens, He can then make actions in the behave of any logged in user. an Attacker can obtain the CSRF Auth which can be valid for ALL users, by intercepting the POST request from a page that provide an Auth Token before the Logging-in process, check this page for the magical CSRF Auth “https://www.paypal.com/eg/cgi-bin/webscr?cmd=_send-money”. At this point the attacker Can CSRF “almost” any request on behave of this user. the request of setting up the security questions “which is initiated by the user while signing up” is not password-protected, and it can be reused to reset the security questions up without providing the password, hence, Armed with the CSRF Auth, an attacker can CSRF this process too and change the victim’s Security questions. ― Change user settings (Notifications/Mobile settings)…. and more. A Vulnerability has been discovered in the wildly popular messaging app WhatsApp, which allows anyone to remotely crash WhatsApp just by sending a specially crafted message, two security researchers reported. Two India based independent security researchers, Indrajeet Bhuyan and Saurav Kar, both 17-year old demonstrated the WhatsApp Message Handler vulnerability. In a video demonstration, they showed that by sending a 2000 words (2kb) message in special character set can crash the receiver’s app. The worried impact of the vulnerability is that the user who received the specially crafted message will have to delete his/her whole conversation and start a fresh chat, because opening the message keeps on crashing WhatsApp unless the chat is deleted completely. “What makes it more serious is that one needs to delete entire chat with the person they are chatting to in order to get back whatsapp work in normal“, Bhuyan told. According to the duo, the reported vulnerability has been tested and successfully works on most of the versions of Android Operating system including Jellybean, Kitkat, and all the below android versions. Similarly, Any member of your WhatsApp group could intentionally send a specially crafted message to exit people from the group and delete the group. Also, for example, if I don’t want someone to keep records of my chat with them, then I can also send the same message exploit to the person. The vulnerability has not been tested on iOS, but it is sure that all versions of WhatsApp including 2.11.431 and 2.11.432 are affected with this bug. Also the attack does not work on Windows 8.1. WhatsApp, bought by Facebook for $19 billion in February this year, has 600 Million users as of October 2014, and according to the researchers, an estimated number of users affected by the vulnerability could be 500 Million. E-cigarettes may be better for your health than normal ones, but spare a thought for your poor computer – electronic cigarettes have become the latest vector for malicious software, according to online reports. 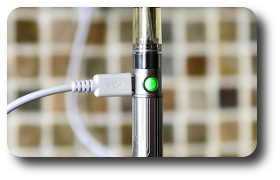 Many e-cigarettes can be charged over USB, either with a special cable, or by plugging the cigarette itself directly into a USB port. That might be a USB port plugged into a wall socket or the port on a computer – but, if so, that means that a cheap e-cigarette from an untrustworthy supplier gains physical access to a device. A report on social news site Reddit suggests that at least one “vaper” has suffered the downside of trusting their cigarette manufacturer. “One particular executive had a malware infection on his computer from which the source could not be determined,” the user writes. “After all traditional means of infection were covered, IT started looking into other possibilities. Any electrical device that uses a USB charger could be targeted in this way, and just about every one of these electrical devices will come from China. In early November, figures obtained by the Press Association revealed that e-cigarettes and related equipment, such as chargers, were involved in more than 100 fires in less than two years.